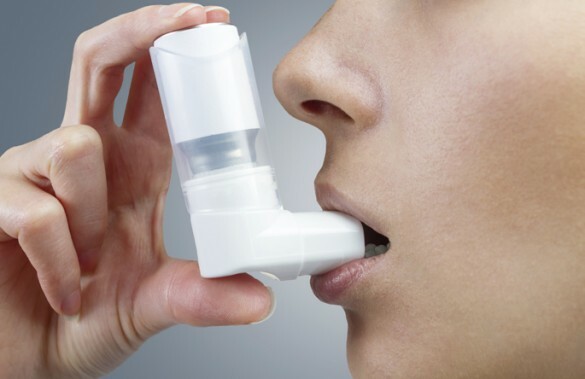 Patients with asthma are at increased risk for invasive bacterial infections and bacterial pneumonia, but the mechanisms that impair their immune system defenses against pathogens are unknown. Melissa Bloodworth, R. Stokes Peebles, Jr., M.D., and colleagues explored whether STAT6 – a transcription factor that is expressed at high levels in the T cells of people with asthma – impacts the function of gamma-delta-17 cells, critical first-line responders against bacterial pathogens. The investigators found that increased STAT6 activation and signaling through STAT6 inhibited gamma-delta-17 cell production of the cytokine IL-17A, an immune system signaling protein. Using a mouse model, the researchers demonstrated that STAT6 signaling reduces the numbers of gamma-delta-17 cells during acute Klebsiella pneumoniae infection. These findings, reported in Infection and Immunity, show that STAT6 negatively regulates first-line responder immune cells and provide one explanation for why patients with asthma are at greater risk for invasive bacterial disease. This research was supported by the National Institutes of Health (grants HL090664, AI095227, AI111820, HL122554, AI121420, GM007347, AI118376), and the Department of Veteran Affairs(2I01BX 000624).